Commentaries in English, French and German. Vol I : Vocal Music, Alap, Dhamar, Khyal, Thumri. BM 30 SL 2051. Vol II : Vocal Music (Bhajana, Tappa), String Instruments (Vina, Sarangi), Drums (Pakhavaj, Tabla) 30 SL 2052. 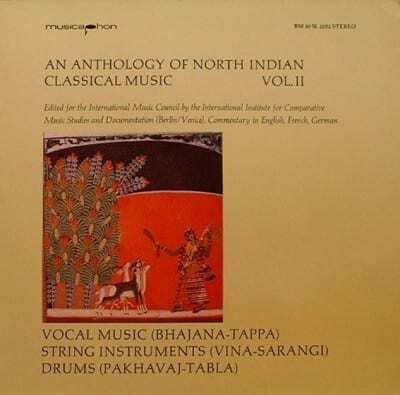 Vol III String Instruments, Sitar, Surashringar, Surbahar, Vichitra-Vina, 30 SL 2053. Vol IV String Instruments (Sarode, Dilruba), Wind Instruments (Flute, Shahnai).